If you have loved ones you want to provide for after you pass away, then life insurance is essential. At the time of your death, the people you named in your policy will receive a lump sum in exchange for premiums payments you made over the course of your life – just like with other forms of insurance. However, while many similarities exist, this type of policy is still extremely unique. Given how important it will someday be to those who are most important to you, it would be wise to think long and hard before spending money on a policy. Fortunately, answering these three questions will also go a long way toward helping you better understand what you need from a life insurance policy. 1. Do I Have Dependents Right Now? If you don’t have dependents, you shouldn’t spend money on life insurance right now. This might seem obvious, but life insurance commercials have become so common that many people end up buying it simply because they think it’s something they need. Unfortunately, many agents don’t explain to them why it’s unnecessary. While some will argue that single people should have life insurance, the mainstream view is still that you shouldn’t bother if you don’t have people who rely on your paycheck. There are far better uses for your money. 2. What Kind of Policy Do I Need? When buying life insurance, you’ll have two main options to choose from: term and whole life. A term life insurance policy lasts for a predetermined amount of time. 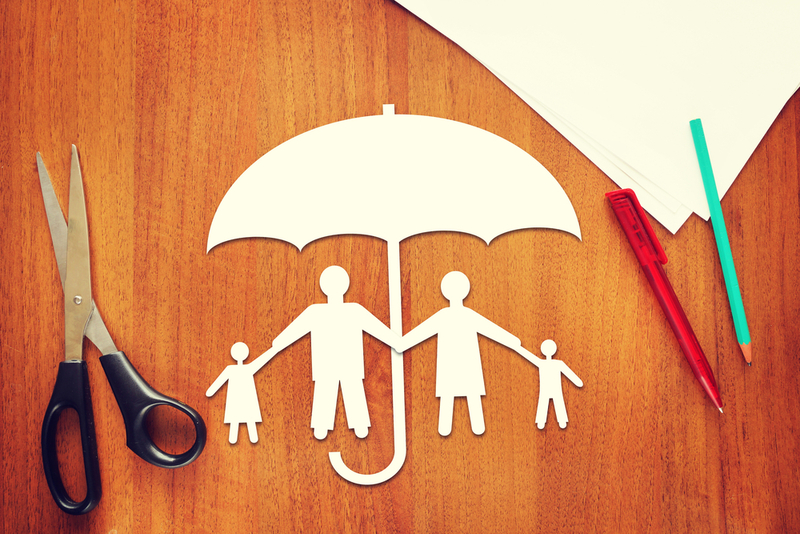 You’re essentially insuring yourself for a period when you believe your beneficiaries will need you. For example, many parents take out term life insurance policies while their children are young. These policies usually expire when their kids turn 18 and can get a job. This kind of a policy tends to be the more affordable of the two because it usually expires before it has to pay out. A whole life insurance policy is just that: it insures you for your entire life. As it will always pay out, this kind of coverage is more expensive. The other big advantage with whole life insurance policies is that you can borrow against them, albeit with high-interest rates. 3. How Much Will Your Loved Ones Need? Never follow some “rule of thumb” when buying life insurance. Take plenty of time to figure out how much your beneficiaries will need and how long they’ll need it for. Your kids are probably different ages, so make sure you take that into consideration before coming up with a final number. At Mooney Lyons, we take life insurance very seriously because we’ve seen the kind of difference it can make in the policyholder’s life and that of their loved ones. If you’re still unsure about what kind of policy you need or how much to spend, contact us today. We would be more than happy to help and you’ll feel better knowing you made your decision based on expert advice. The opinions voice in this material are for general information only are not intended to provide specific advice or recommendations for any individual. Insurance guarantees are based on the claims paying ability of the issuing company. Loans from a permanent life insurance policy may be subject to penalties and fees and, along with any accrued loan interest, will reduce the policy’s account value and death benefit. A policy loan could result in tax consequences if the policy lapses or is surrendered while a loan is outstanding.